The series which started in 2003 is now approaching its 900th performer. In celebration of that Kevin Spiritas, who appeared in the very first edition of the concerts when he was the understudy for Hugh Jackman in The Boy From Oz, appeared in this most recent edition as well. There will be another At This Performance concert soon.We hope to bring you information about that in a future post. If you ever have the opportunity to see one of these concerts, you should. Not only will you get to listen to some great voices, you just may end up being able to say you saw the next big star when they got their start! We were given a free Foods of NY: Chelsea Market Food Tour for review purposes. Any and all opinions expressed here are our own. Me - Foods of NY: Chelsea Market Food Tour was delicious. It was tour a of Chelsea Market, and you got to try different foods. I liked that we got to try different foods and learned facts about the market and about some of the stores in it. We even learned a little about the High Line which is an overheard park right near Chelsea Market. Most food tours you walk around outside over a wide area, but the Chelsea Market food tour is mostly just inside Chelsea Market so there is a little less walking. Some of the foods we got to try were fried Oreos, salted caramel, ice cream. biscuits, beef tartar, kale and meat pie. We also ate sandwiches. My favorite was the ice cream. It was at Ample Hill's Creamery. Some of the other places we went to were Sarabeth's Bakery, Dickinison's Farm Stand Meats and Cappone's Italian Specilaities. There is a painting of the old logo from Nabisco. It is of a boy standing out in the rain with a package of cookies. Nabisco used to be located where Chelsea Market is now. There used to be a train that ran through Chelsea Market so they have these high windows so that they could open them and let the steam from the train out. On the whole, the Chelsea Market Food Tour was really fun, and the food was really good. Mom - Foods of NY: Chelsea Market Food Tour is the perfect tour if you want a walking tour that is contained within a smaller area than they average walking tour. It is also a great tour for when it is too hot or too cold or just generally not a very nice day outside because most of the tour takes place inside Chelsea Market. Of course, you shouldn't just wait for bad weather if you want to have the opportunity to sample some of the delicious foods they have to offer at Chelsea Market. On this tour you will get to visit many of the restaurants and shops located within the market and taste some of the delectable foods they have available. Some of the tasty foods you can try on this tour include Buttermilk Biscuits, Australian Beef Pie, Sea-Salted Caramel, and Ooey Gooey Butter Cake Ice Cream. The tour also includes Gansevoort Market, which is a smaller market located not far from Chelsea Market. Additionally, you will the opportunity to visit the High Line, the overhead park that used to be a train line. If you are interested in history, you will also enjoy learning about some of the background of these locations while you visit them. This is not a tour for very young children who would probably be bored and who also tend to be pickier eaters and probably would not enjoy many of the samples offered. Older children especially those that are open to trying a wide variety of foods would love it, however. For more information about the Foods of NY's Chelsea Market tour or to book a tour visit www.foodsofny.com/foods-ny-tours/chelsea-market/. For general information about Foods of NY or find out what other tours they have available, visit www.foodsofny.com/. For our view of Foods of NY's Original Greenwhich Village Tour go to Where-To-Go Wednesday - Foods of NY: Original Greenwich Village Tour. Tips forTuesday - Movies - Leap and Unleashed Plus a Giveaway! Me - Today I am recommending Leap. 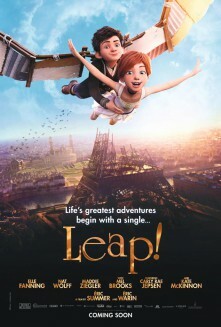 Leap is movie about a girl who wants to be a dancer. It was a cute movie.The story was interesting. The characters were mostly nice.It was totally different than other movies I have seen. The main character was very determined and persist. Girl characters are not always portrayed that way in movies especially young girls. She was a good role model for girls. People who like sweet stories and happy endings would like this movie. All in all, it was a good movie, and I would highly recommend seeing it. Mom - Today I am recommending two movies. First, I am also recommending Leap. Leap is the story of Felicie, a girl who wants to be a ballet dancer. This is a wonderful story for young girls because a young girl is the main protagonist, and she is not just an appendage to some boy that is the main character. In this movie, the boy is the sidekick and the girl is the heroine of the story. Also, Felcie is a character who is determined and goes after what she wants. She does not just sit and wait for things to happen for her or for some boy to come and rescue her. The story makes a dance competiton into the equivalent of a sport possibly in attempt to market the movie to boys as well as girls which would give the movie more staying power. I am not sure if that will work. However, the movie does deserve to be seen because it has an interesting original story, a feisty likeable heroine and some other interesting characters a few of whom could probable use a movie of their own to fill in their mysterious but intriguing back stories. Besides, it's nice for girls to have a heroine of their own that isn't a princess. Leap is in theaters now. The second movie I am recommending is Unleashed. 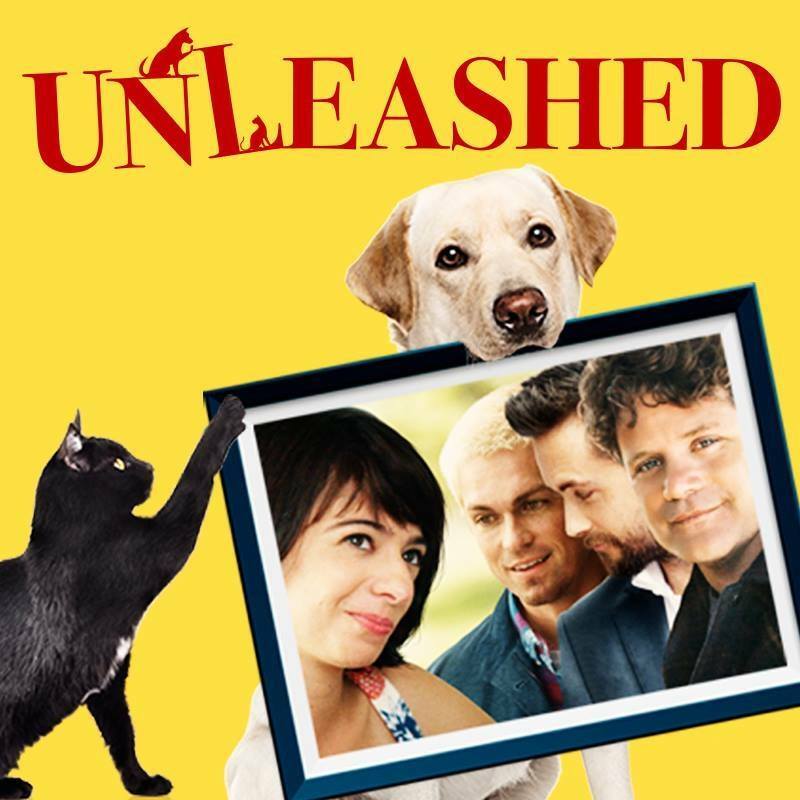 Unleashed is a quirky film about a woman whose dog and cat get turned into human men, and she begins dating them. If you only like films that are completely rooted in reality, you probably will not like this movie. However, if you like whimsical movies that allows you to suspend disbelief and live in another reality for a while and in this case not one where there are wizards or vampires, you may enjoy the film. The film is very well acted particularly by Steve Howey and Justin Chatwin, and if nothing else the film is worth seeing for their performances. 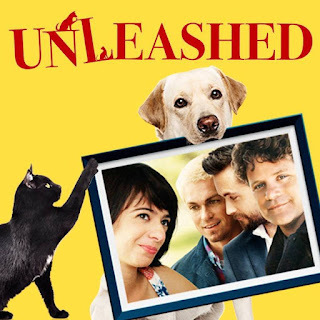 Unleashed is in theaters and On Demand now. Disclaimer: Says Me Says Mom is not responsible for sponsors who do not fulfill prize obligations. Me - My topic for this month is Broadway. I love Broadway! I especially like musicals because I like songs. I saw my first musical when I was 6. It was Godspell. I didn't like it that much because I didn't understand it. Also, I thought you had to give your playbill back so I just left it. I thought they were reusable. Then, when I was 8, I saw Annie, and I loved it. I have loved musicals ever since. As of now, I have seen 26 musicals including 8 so far this year alone. I will be seeing my 27th this Friday for my birthday. I have really liked most of the shows I have seen. My favorites are School of Rock, Anastasia and Waitress. I love those shows! I don't think I have ever seen a show that I have really hated. I didn't like Amelie that much though although it had one really pretty song it. Also, American in Paris was just okay. The dancing was really good in American in Paris though. Recently, I even got to go backstage at School of Rock and it was really cool! We went through the stage door. We got to go on stage and take pictures. It was so unbelievable! We didn't meet anybody in the cast or anything like that, but it was still one of the best days of my life! Mom - My topic for this month is Summer Concerts. Before college, I had hardly ever gone to any concerts. When I graduated from college for a couple of years, I went to a lot of concerts and not only in the summer. Now, I don't go to that many. 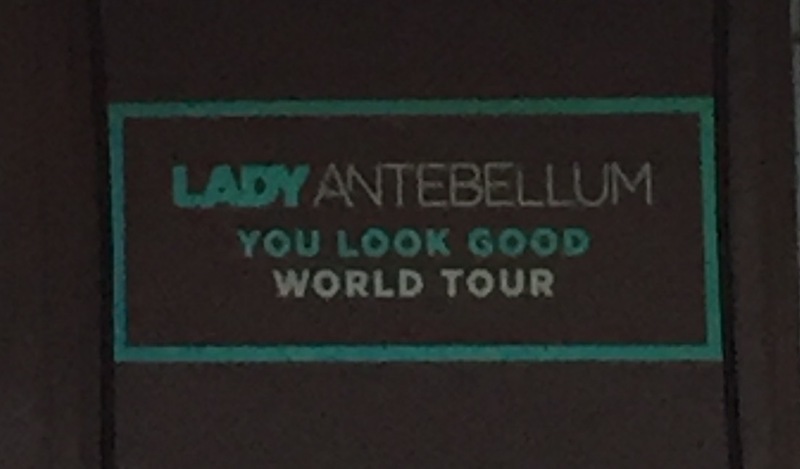 However, this summer I went to two, Lady Antebellum and United We Rock. Thanks to the Ticketmaster settlement for their deceptive fee practices back in the days when I used to go to a lot of concerts, I ended up with a lot of free ticket vouchers so my husband and I went to a couple of concerts. We went to this outdoor venue, and we had general admission seats on the lawn. It was a really nice way to spend a summer night sitting outside on a blanket and listening to music. Before, next summer I need to invest in a couple of those low chairs though. It gets very comfortable sitting right on the grass with only a blanket underneath you. 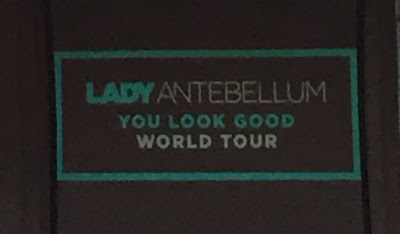 The Lady Antebellum concert was my favorite. I really love them. I think they are my favorite band right now. I had one of their CDs, and I got one for free when I ordered the concert tickets. After the concert, I ordered all their other CDs, I was able to get a good deal and get all 4 of them for only $20.00 from Amazon. The other concert was Don Felder from the Eagles, REO Speedwagon, and Styx. That one was kind of nostalgic because I saw a Styx concert back when I was going to a lot of concerts. I think Dennis De Young was still with the band then. I hope I get to go to more concerts next year. I do still have a lot of vouchers left, and they are only good through 2020 I believe. You can only use them on certain events though and those events always seem to be in the summer so I guess I'll just have to wait. Progressive Dance Studio located in the heart of Englewood,announces Fall Enrollment for the 2017 Semester. Now it its 38th year, Progressive Dance Studio’s highly trained and certified instructors who are members of the National Dance Council of America and possess a wealth of experience in dance instruction, competing, performing and judging various dance styles and disciplines will teach classes 7 days a week. At Progressive Dance Studio students can select from more than 80 classes per week for students age 2 to18 from beginners to advanced students in Ballet, Creative Movement, Acro, Contemporary, Hip Hop, Jazz, Tap and even Adult Classes! Students are encouraged to Register or sign up for a FREE Trial class by August 31, as some classes are already full. This year’s season will begin Monday, September 11th. To Register or sign up for a FREE Class, call 201.894.1333 or visit www.progressivedancestudio.com. 12th Ave. & 46th St. 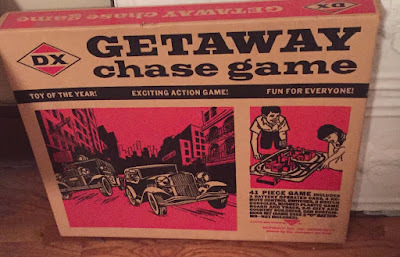 The kids got their turn to stay overnight on the Intrepid…. 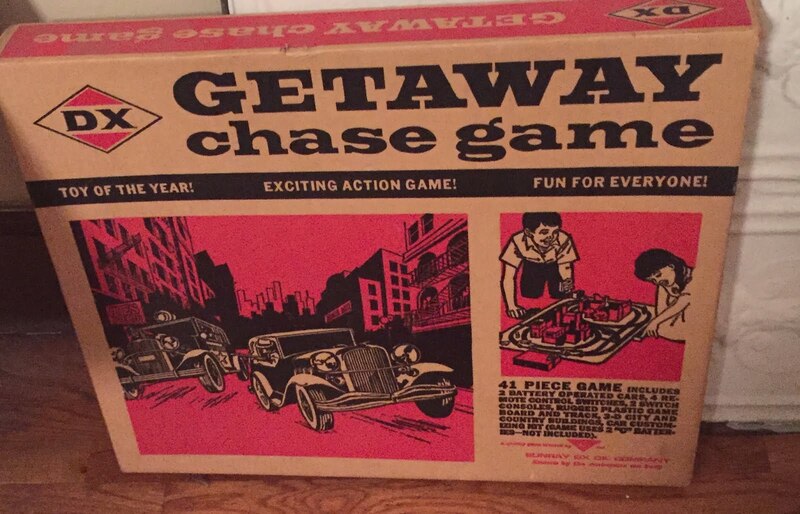 · Set out on an Instagram scavenger hunt. · Go VIP: Have cocktails on the ship’s terrace, get a behind-the-scenes tour, and sleep under the space shuttle. Special discounts are available on both regular and VIP tickets through https://www.gilt.com/city/newyork/offer/intrepidoperationslumbernycjuly17 - bring a friend, and save even more! BroadwayCon’s Special Guest lineup continues to grow! BroadwayCon is pleased to announce Ilana Levine (You’re A Good Man Charlie Brown), Julia Murney (Wicked, The Wild Party), and Nic Rouleau (The Book of Mormon, Legally Blonde) have joined the Special Guest lineup for BroadwayCon 2018. BroadwayCon will return to the Jacob K. Javits Convention Center Friday, January 26 through Sunday, January 28, 2018. Tickets for BroadwayCon 2018 are available for purchase now at www.BroadwayCon.com/register. 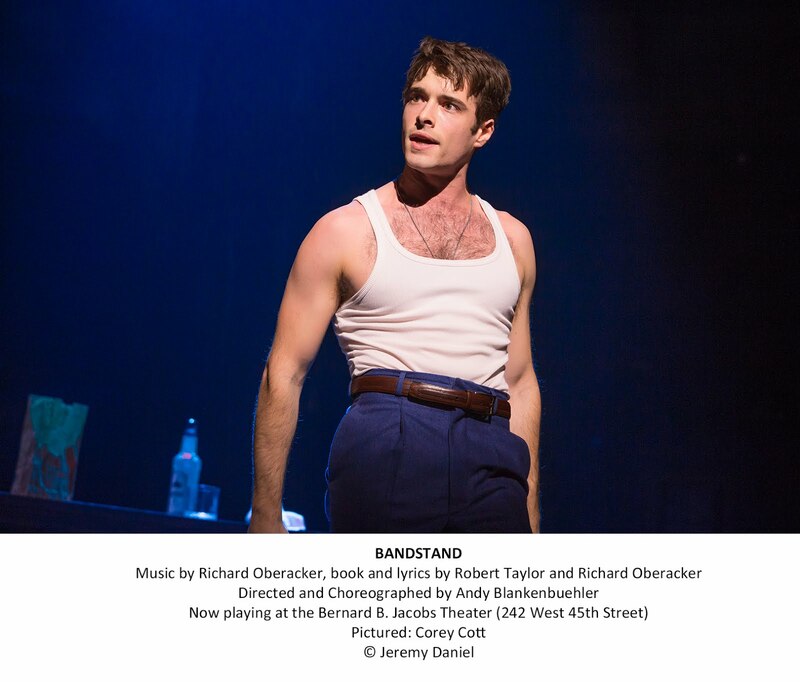 Producers Mara Isaacs and Dale Franzen, and Brian Joosten from Warner Music Group, in collaboration with Ghostlight Records, will release the cast album for the acclaimed Off-Broadway musical Hadestown, recorded live during the original run of the show. The album is available for digital pre-order today, August 25th, and will be officially released on October 6, 2017. 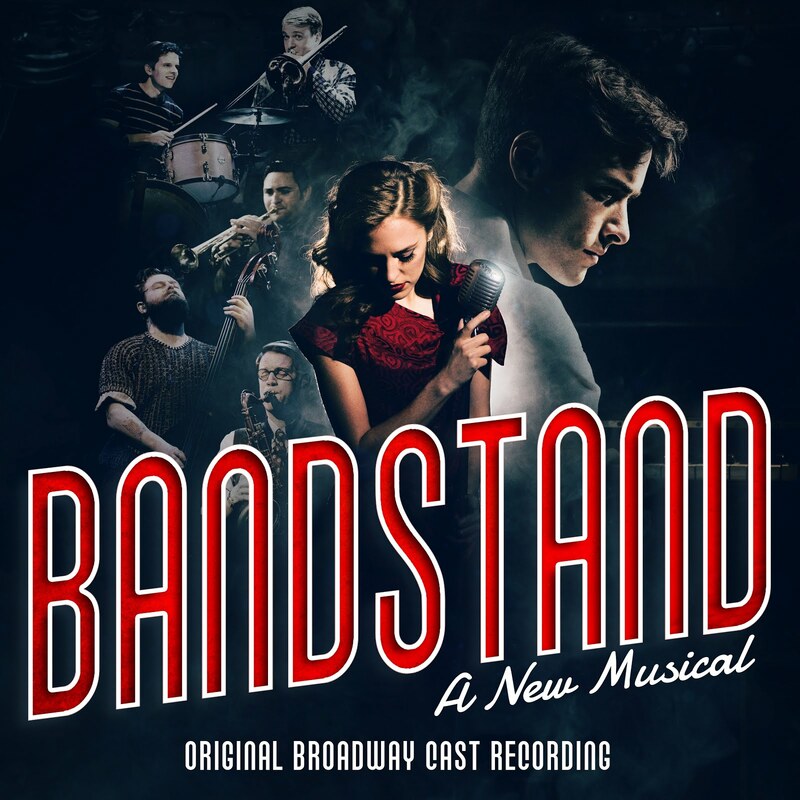 Customers that pre-order the album will immediately receive the hit single “Road to Hell.” To pre-order the album, please visit https://w.lnk.to/hadestown. For more information on the recording, please visit https://www.sh-k-boom.com/hadestown and for the album’s video trailer, please visit https://youtu.be/6FHjJDPCzyg. 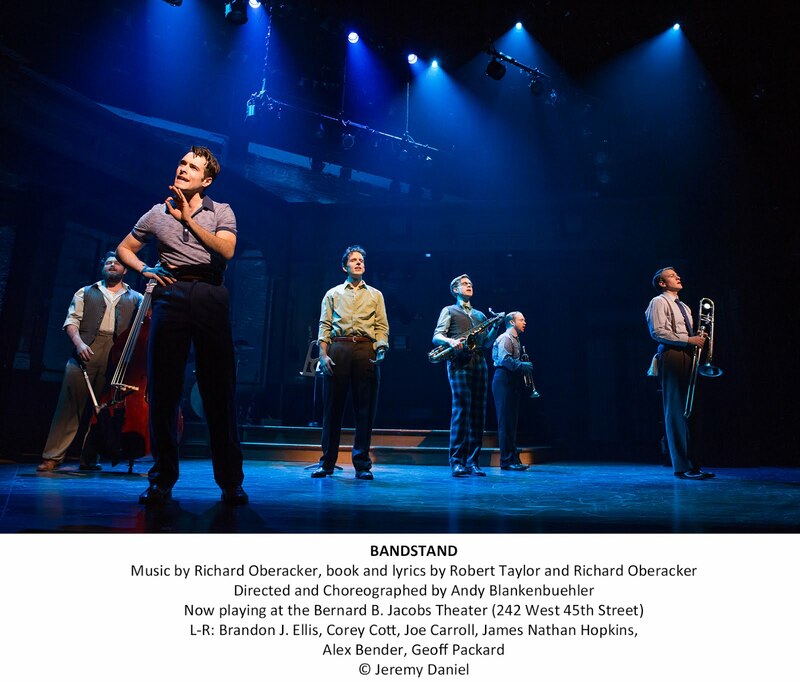 Captured live during its twice-extended run at New York Theatre Workshop, Hadestown premiered at New York Theatre Workshop in May 2016. It played to critical acclaim and sold-out houses. 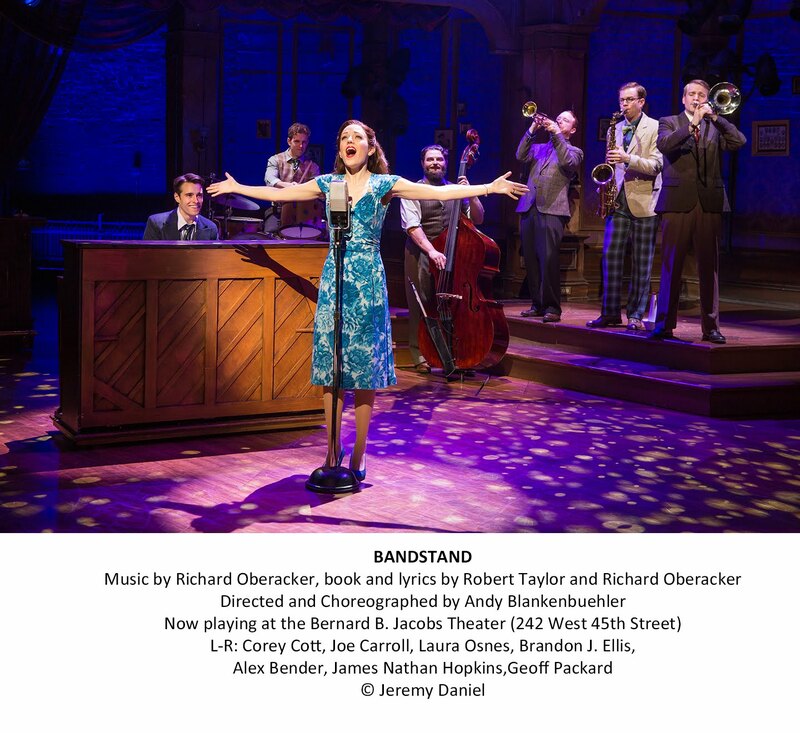 This new musical written by celebrated singer-songwriter Anaïs Mitchell and developed with and directed by the three-time OBIE Award-winning director Rachel Chavkin, follows Orpheus’ mythical quest to overcome Hades and regain the favor of his one true love, Eurydice. 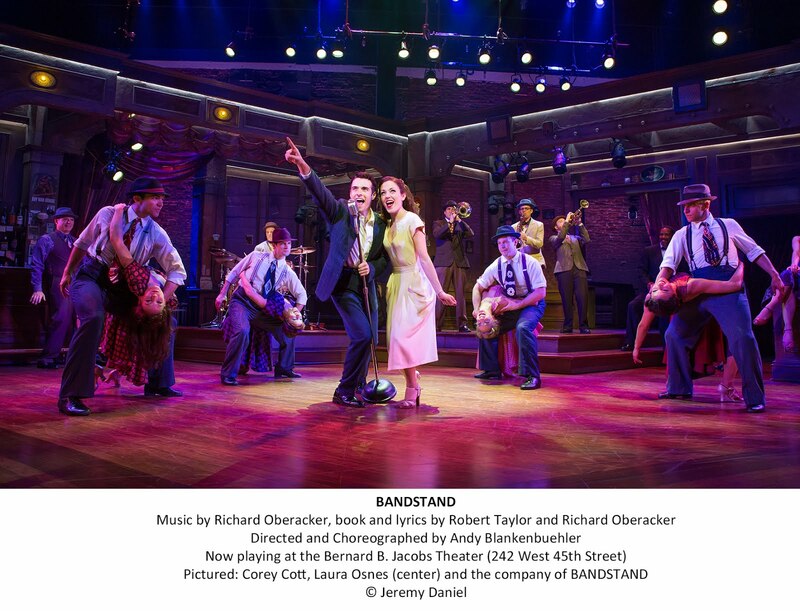 Together we travel from wide open plains where love and music are not enough nourishment to survive the winter, down to Hadestown, an industrialized world of mindless labor. Inspired by traditions of classic American folk music and vintage New Orleans jazz, Mitchell’s beguiling melodies and poetic imagination pit nature against industry, faith against doubt, and love against death. Tickets on Sale August 30! Bruce Springsteen will make his Broadway debut this fall with Springsteen on Broadway, a solo show at the Walter Kerr Theatre (219 West 48th Street). Performances for Springsteen on Broadway begin Tuesday, October 3, with an official opening on Thursday, October 12. Springsteen will perform five shows a week through November 26th. Tickets for Springsteen on Broadway will go on sale August 30 at 10am ET exclusively through Ticketmaster Verified Fan®. This unique fan-first technology levels the playing field to combat bots and get real tickets into the hands of fans who intend to go to the event. Ticketmaster Verified Fan registration will close August 27. Verified fans will be notified August 29 for the August 30 onsale. Visit brucespringsteen.net/broadway for more information about how to pre-register. 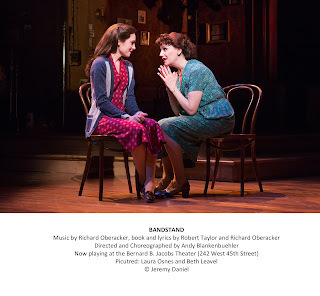 Taylor Trensch, currently starring on Broadway in Hello, Dolly!, will star as the title character in the Tony Award-winning Best Musical Dear Evan Hansen, beginning mid-January 2018, following his run in Hello, Dolly!. In additional casting news, the production is thrilled to announce that Noah Galvin, fresh off the starring role in ABC’s “The Real O’Neals,” will play the role of Evan Hansen, beginning November 21, 2017 until Trensch begins performances on Broadway in mid-January. It was also announced today that original cast members Laura Dreyfuss, 2017 Tony Award-winner Rachel Bay Jones, Jennifer Laura Thompson,2017 Tony Award nominee Mike Faist, Michael Park, Will Roland have all extended their contracts and will remain in the hit musical through May 2018;Kristolyn Lloyd will remain with the show through February 2018. Tickets for Dear Evan Hansen are now available through June 2018 at the Music Box Theatre box office, on Telecharge.com, or by calling (212) 239-6200. For the complete performance schedule, please see www.dearevanhansen.com. Spearheaded by American Ballet Theatre principal Daniil Simkin, with new choreography by Alejandro Cerrudo, projection design by Dmitrij Simkin,and costumes designed by Dior, Falls the Shadow is a new 30-minute work made in and for the Solomon R. Guggenheim Museum rotunda. It will feature dancers Daniil Simkin, ABT soloist Cassandra Trenary, Hubbard Street dancer Ana Lopez, and Brett Conway. In "real-time," their movements will be captured by motion sensors, generating 3-D mapped visuals that will be projected onto the surface of the rotunda to create an immersive experience that meshes technology, music, visuals, fashion, and dance. In 2017, Works & Process, the performing arts series at the Guggenheim, launched a new initiative, commissioning site-specific residencies and performances for the iconic Guggenheim Museum rotunda. Falls the Shadowwill be the second Works & Process Rotunda Project and will be the culmination of rotunda residencies spanning five-weeks. 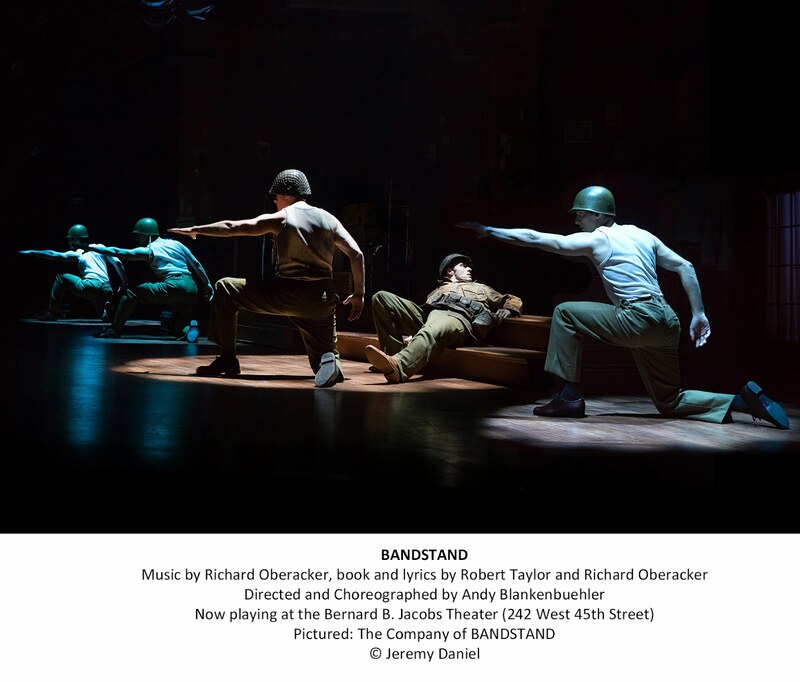 This 30-minute performance will be viewed from the ramps and requires audience members to stand for the duration of the program. Limited seating with diminished views available on the rotunda floor. 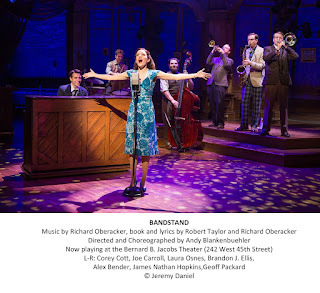 News from Polk and Co.
A new block of tickets for Anastasia the Broadway musical are now on sale to the general public and are available at www.AnastasiaBroadway.com o rwww.Telecharge.com (212.239.6200). Tickets range from $69 - $169. Premium tickets range from $199 - $352. For more information, visit www.anastasiabroadway.com or call 212-239-6200. Group tickets for ANASTASIA are also now on sale. Groups should contact www.broadwayinbound.com or 866-302-0995. ABANDONED HEART will receive an album release concert on Monday, October 9 in NYC. Location and ticket information will be announced soon. What is going to be the primary use of the car? Is it going to be used mostly for commuting back and forth to a job or will it be more of family car used for transporting the family around to their various activities? 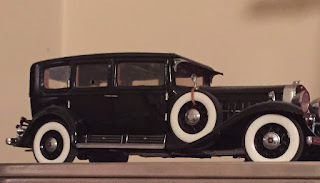 What are necessities you must have in a car and what are just extras that it might be nice to have? Do you need to have a rear back-up system with a camera? Can you live without leather seats? You have to decide what are the deal makers and deal breakers for you. How specific are you about what your are looking for? Are you looking for a particular make or model? Are you looking for a particular color? These are only the tip of the iceberg when it comes to buying a car. There is so much to think about that buying a car can be a big headache, but it doesn't have to be. Cars.com makes car buying easier. 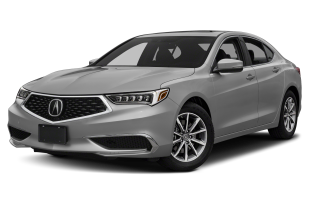 Instead of having to jump around to different web-sites to find out about different cars just go to their web-site, and you can get information about a wide variety of cars all in one place. It's the best place to start shopping for a car. Cars.com is much better place to start your car shopping than the car dealerships. If you go to the car dealerships first, they are only going to tell you the good things about a car because they are only interesting in selling you a car. At Cars.com, you can get the find out about what is good and what is bad about a particular car brand. Their videos and review feature helps you get the real scoop on a car. Cars.com gives you confidence in car buying. 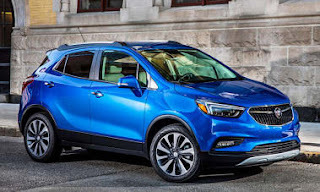 Once you have visited their web-site and gathered the information you need, you can set your mind at ease about buying a car. And we are not done yet! How many ice cubes can you fit in a water bottle? 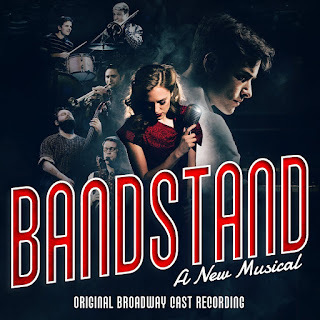 Me - Bandstand was a really great show. It was about a man named Donny Novitski who was a soldier. When he came home from the war, he wanted to find other veterans to form a swing band. This show has really good music. I like too many of the songs to mention them all. The songs are catchy and will stick in your head. The acting was good. My favorite characters were Donny and Julia. 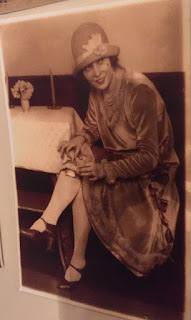 Julia is a woman whose husband died in the war. She joins the band as a singer. 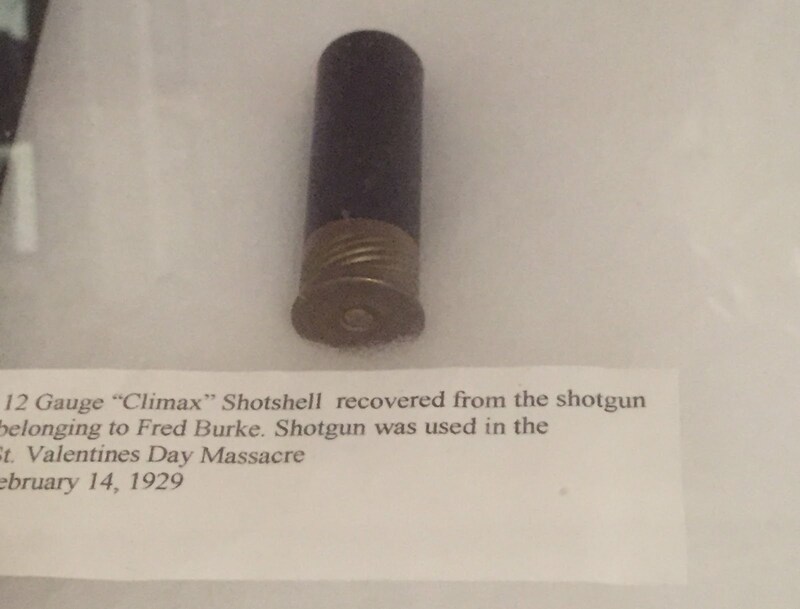 The show has an interesting story. It would be really good even without the songs but the songs make it even better. The dancing was cool! 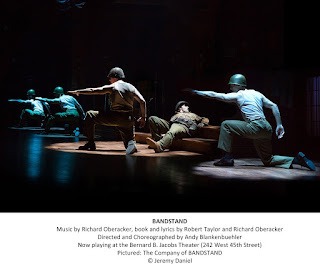 The show even won a Tony for Best Choreography. The band in the show really plays music. Even though they are actors in the show they play music too. The don't play all the music in the show only songs when the band is performing. They were very talented and played really well. The set was nice. The costumes were nice too. I liked the dresses that Julia wore. Over all, it was an amazing show, and I would highly recommend going to see it. 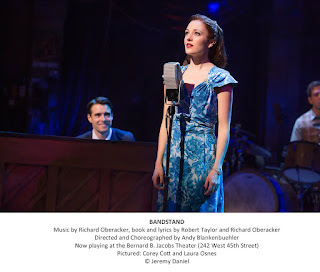 Mom - Bandstand is a rarity on Broadway, a completely original musical, and its a gem of a musical. It sheds light on a story that is rarely told. It is the story of what really happens to soldiers when they come back from the war. The show does such a wonderful job telling this story that it has actually been endorsed by the Got Your 6 veterans organization. The show is full of interesting intelligent characters. 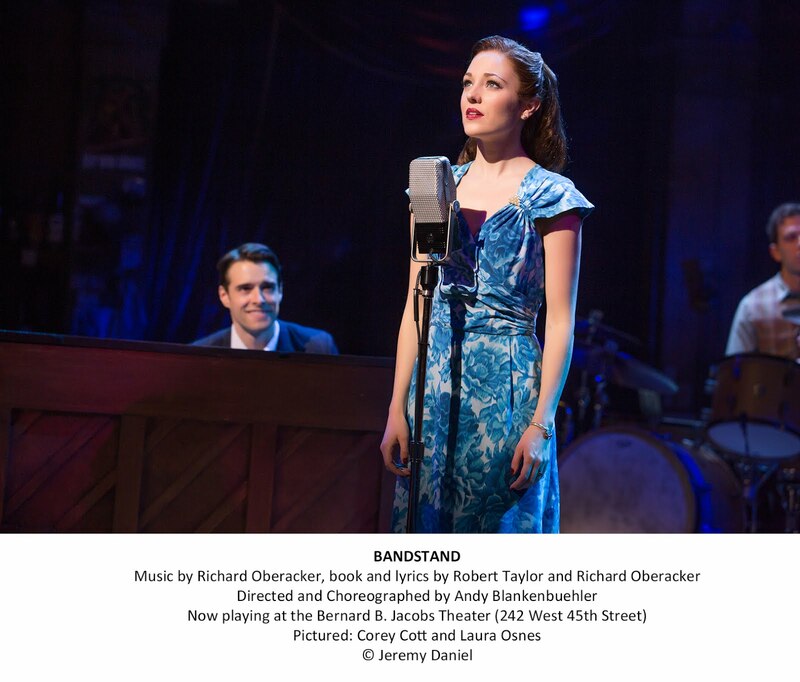 The cast led by Corey Cott and Laura Osnes is terrific. 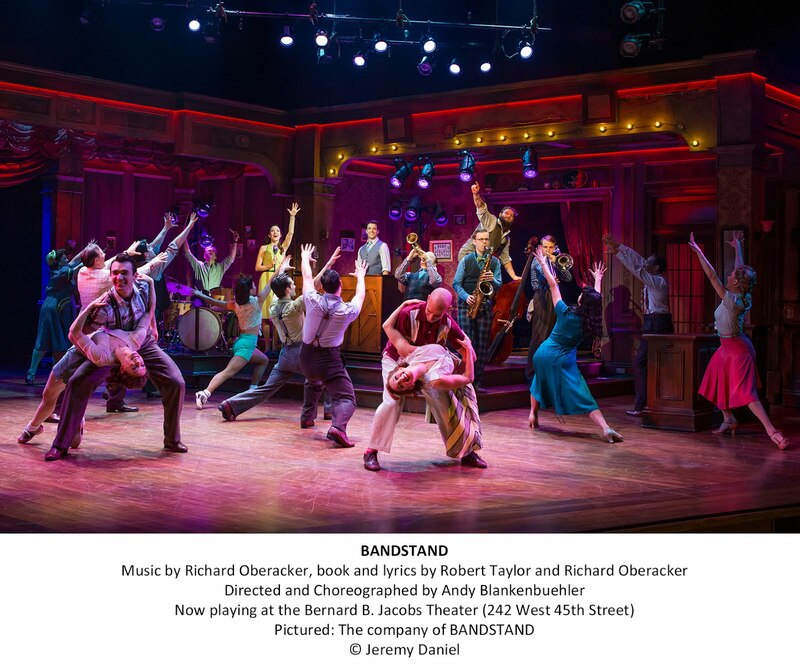 The Tony Award winning dancing is lively and energetic. Since the story is about a band, this is another show where cast members actually play their own instruments, and the music is great. The score is a mix of fun and breezy swing tunes and some touching ballads. We would definitely recommend making sure you have a tissue or two with you if you see this show because the finale, Welcome Home could definitely bring a tear to your eye. We would not recommend the show for young children due to the subject matter, but it is fine for older tweens and teens. You won't want to miss this truly touching show. It was recently announced that Bandstand will be closing on September 17, 2017. Don't miss your chance to see this wonderful show! 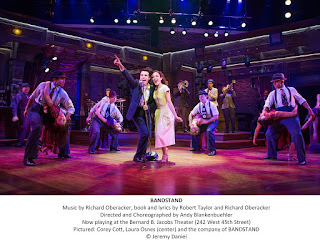 For more information or to purchase tickets to Bandstand visit bandstandbroadway.com. 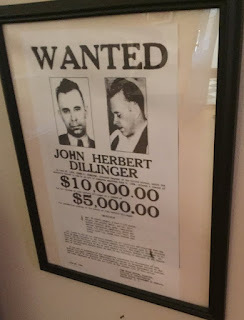 We were given free tickets to the Museum of the American Gangster for review purposes. Any and all opinions expressed here are our own. Where: 80 St. Marks Pl. 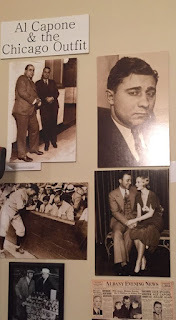 Mom - One of New York City's most unique museum's is the Museum of the American Gangster. Here you can learn about prohibition, temperance, and the beginnings of organized crime. 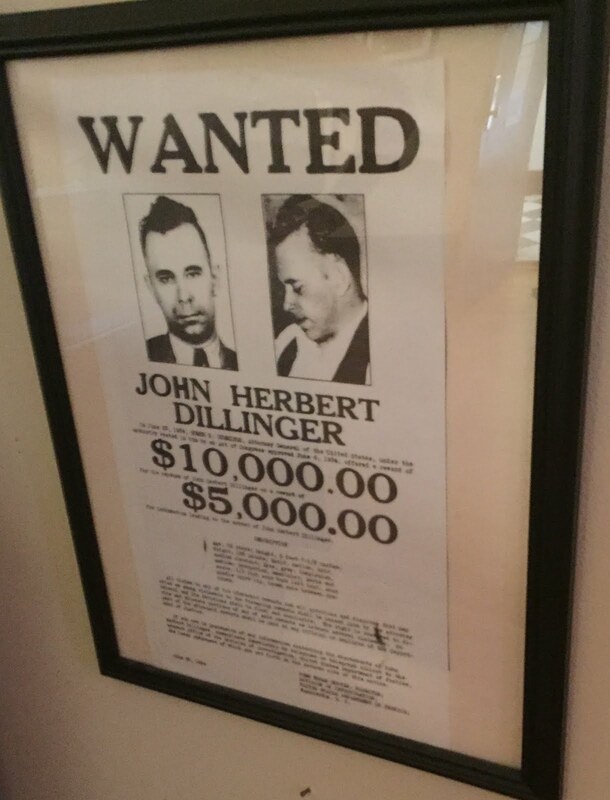 Artifacts include wanted posters, guns, and lots of pictures. The location of the museum is not just arbitrary. It is a part of the history. The building used to be a speakeasy. 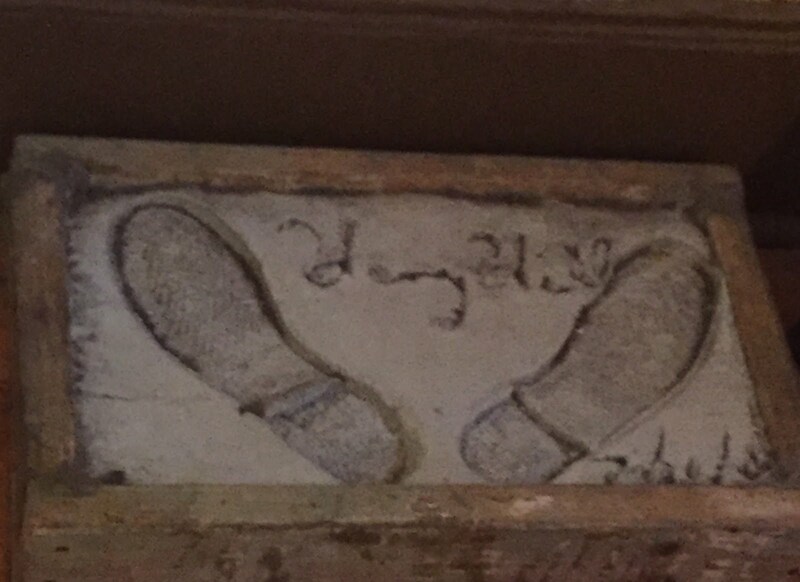 Not everything in the museum is related to the prohibition era, however, there are some artifacts relating to more modern criminals including Henry Hill's footprints, his jacket and a painting he made. The museum is mostly contained within two small rooms, but there is quite a lot located within that small space. You could go through yourself, but a tour is included with your ticket and just looking at the objects and pictures isn't nearly as fascinating as learning about their history. Guided tours are given daily at 1:00 PM, 2:30 PM and 4:00 PM and take about an hours and fifteen minutes. Neither the tour nor the museum is for young children who might be frightened by some of the stories, pictures, and/or the objects. For older children, it depends on the child and what interests them and how easily they get scared.